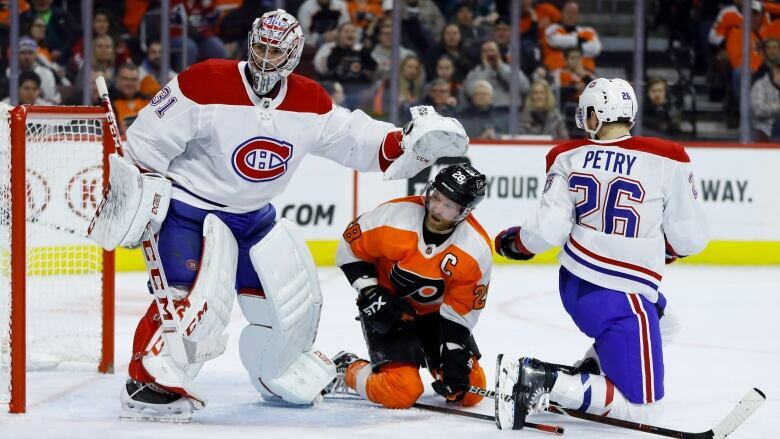 Montreal didn't need all 240 characters to express on Twitter the importance of beating the Flyers: "LesCanadiensremportentunegrossevictoire !" In any language, this much was clear for a team making a desperate playoff push, the Canadiens won a big one. 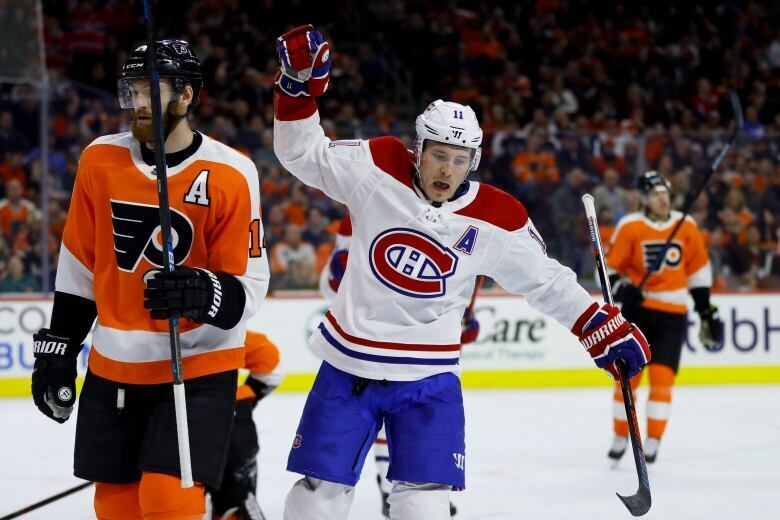 With less than 10 games left for each team, time has about run out for the Flyers to complete their second-half surge toward the post-season. The Canadiens, well, they have a playoff pulse after losing two straight and four of five overall. Gallagher scored his 31st goal on a slapper from the slot in the first for a 1-0 lead. Gallagher, who had his first NHL hat trick against the Flyers on Feb. 21, has done his part to keep the Flyers out of the playoff picture. He scored his fourth goal in three games against Philly and provided all the offence Price needed. But the odds are stacked against the Flyers — just a 2.6 per cent chance of making the post-season headed into the game — under interim coach Scott Gordon.